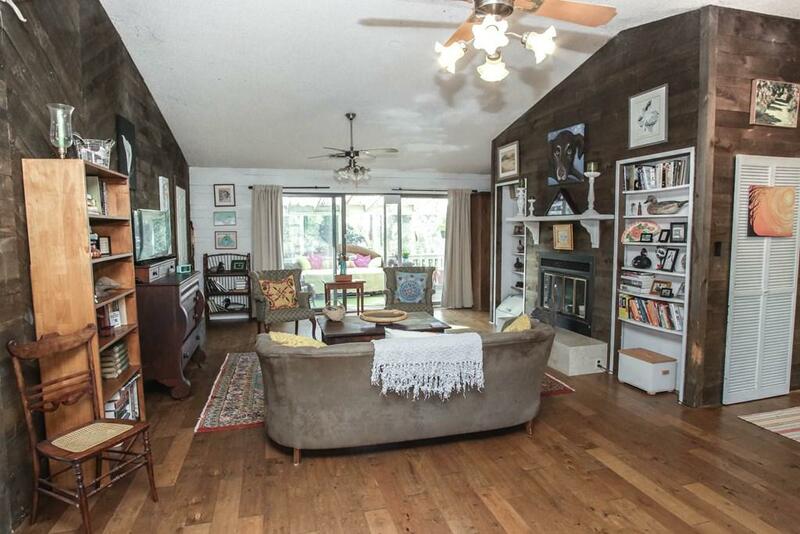 Open concept home with wood paneling and wood burning fireplace make for a cozy retreat. 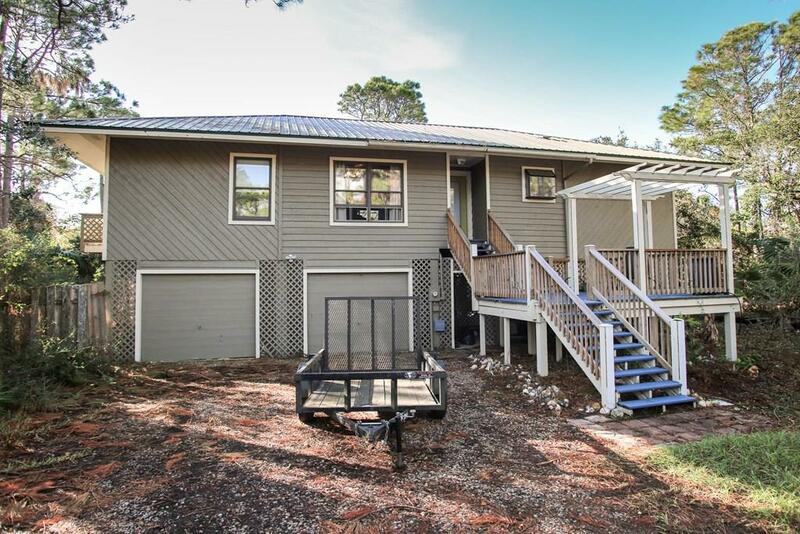 This 3 Bedroom, 2 Bath home features glass doors which lead to screened porch overlooking wooded area. Spacious Master Bedroom with en suite and 2 Bedrooms sharing Jack and Jill style bath with claw foot tub complete this comfortable home. Engineered Hard wood Oak throughout living areas with Kitchen and baths tiled. Lanai also has claw foot tub outfitted with hot and cold water for nights under the stars. 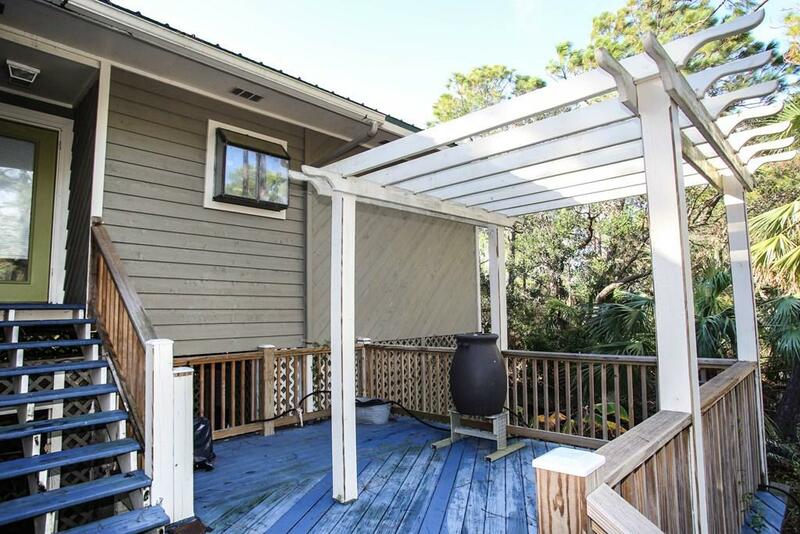 Large deck for grilling or just hanging out faces bay, Just 3 blocks to white sand beaches. All resting on a high and dry .34 acres lot. 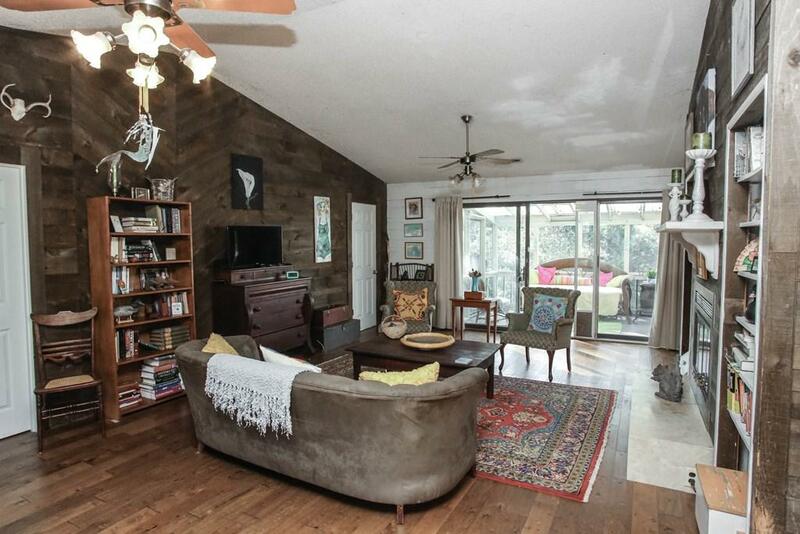 Call today to view!